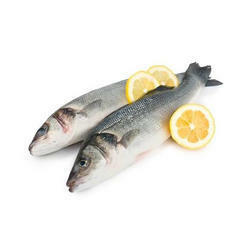 We are named among the renowned Importers, Exporters and Suppliers of Fresh Fish. We have an advanced cold storage system in which we can store 1500MT Fresh Fish at a time. We make available different varieties of Fresh Fish such as Ayre, Boal, Rohu, Mrigal, Katla etc. Apart from this, we have a vast distributed network that enables us to deliver retail as well bulk orders for Fresh Fish within the stipulated time frame.